It’s official. 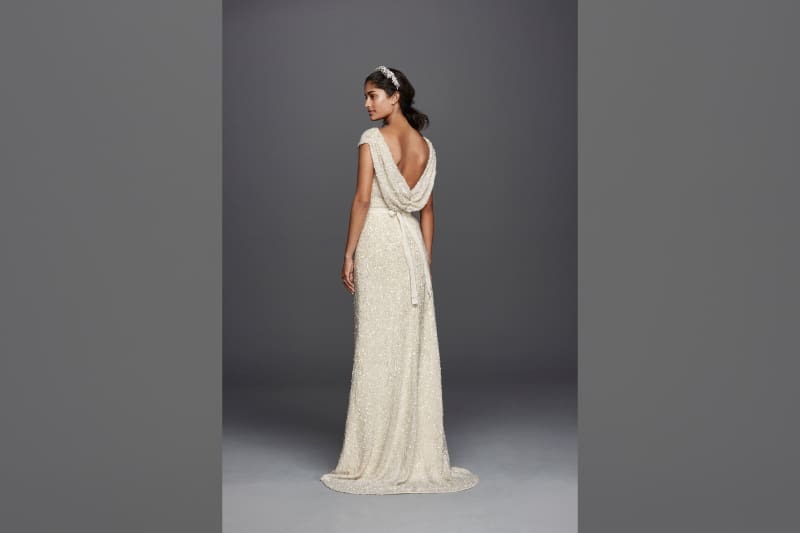 Jenny Packham, one of the UK’s most recognised independent dress designers, adored by celebrities and royalty alike is launching a brand new bridal collection minus the designer price tag. The red carpet favourite follows in the footsteps of Vera Wang with the launch of a brand new collection exclusively for US bridal chain David’s Bridal. Prepare to fall in love as Bridebook brings you an exclusive first look at the Collection, available in all David’s Bridal stores and online February 10th. 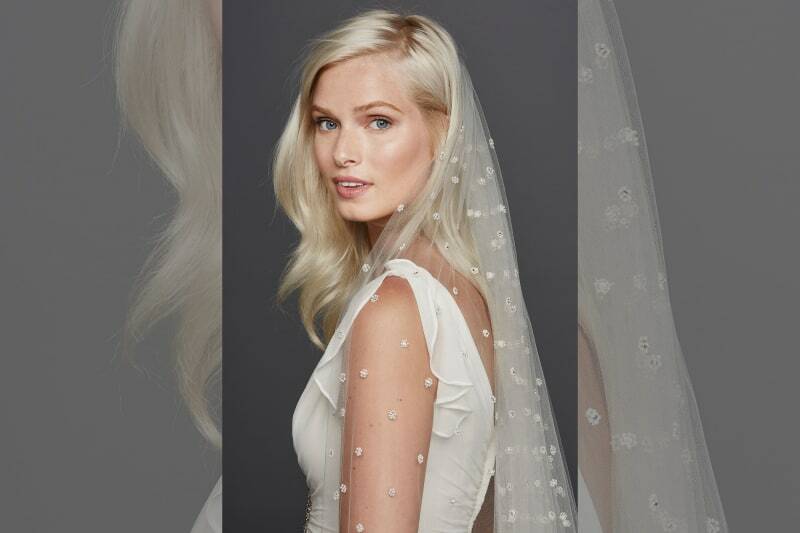 Wonder by Jenny Packham will feature bridal, bridesmaid, flower girl and mother of the bride styles plus a range of accessories including shoes, bags, sashes, hair pieces and veils. The 9 bridal gowns are available in a UK size 4-18 and are priced at £850 – £1395 whilst bridesmaid’s dresses, available in 12 delectable shades, start at £130.95. The diffusion line offers all the grace and soft glamour Packham has come to epitomize at a fraction of the cost of her regular line, favoured by the likes of Kate Middleton and Angelina Jolie. The collection- inspired by the art nouveau style of the early 20th century – expertly captures how most women want to look on their wedding day. The beaded flowing gowns don’t feel dated or overly theatrical but instead effortlessly beautiful and timelessly chic. Trademark feminine silhouettes with intricate details along with structured shapes combine to create a collection that is light, romantic and contemporary.’ This is a designer and David’s Bridal collaboration at its best – letting all of us feel like fashion royalty without having to mortgage the house. Don’t forget to take advantage of all of Bridebook’s amazing free wedding planning tools today!